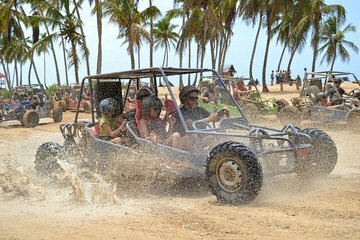 Follow an off-road route through the wilds of the Dominican countryside on this buggy tour from Punta Cana. With a guide in the lead, you can take in the natural scenery instead of worrying about directions. Enjoy splashing through the muddy rugged terrain, far off the beaten path of the typical resorts.